1. Scheduled breaks: when I run a long run outside, I typically stop for watch and a GU gel or Clif Shot Blocks every hour to refuel. I applied this to my indoor run as well. I bargained with myself that every hour I would stop, get off the treadmill, hydrate, and turn the laundry over (see #3). 2. TV: I also bargained with myself that I would allow myself to being Season One of Downton Abby. I needed to know what all the hype was. So I set up my iPad and turned on Netflix and got through 3 full episodes. There were times were I wasn’t paying attention at all to the show, but that’s ok, it was there to occupy my mind during tough times. 3. Laundry: if I’m going to be in my house for 2.5 hours, I better get some serious laundry done. And I did. I’m very lucky to have a treadmill in my basement right next to the washer and dryer. At every break on the hour, I turned the laundry over. I had some serious laundry to fold when I was done, but doing laundry made me feel even more productive. 4. Summer running clothes: when you run inside, you can dress for any weather. Today’s running outfit; really me. 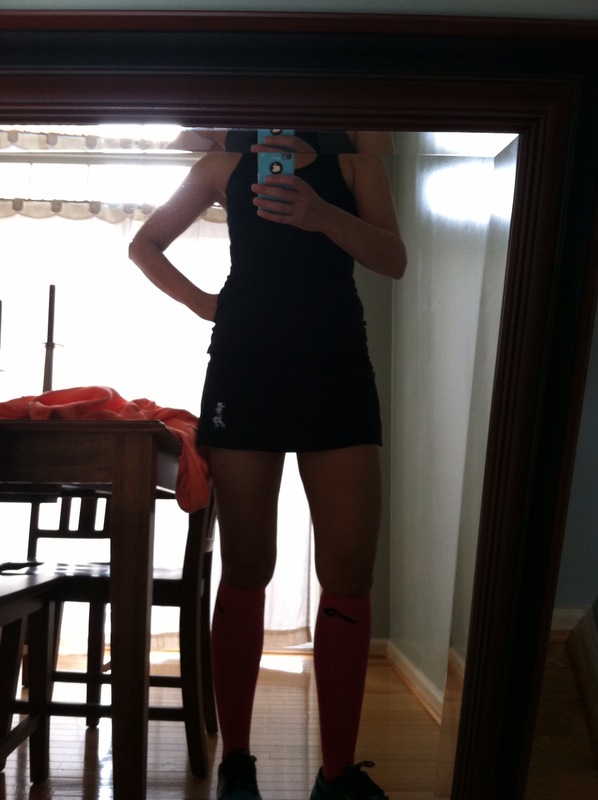 And that got me excited to wear my running skirt and tank without a huge jacket, gloves, long tights, etc. It felt good to be running without the layers. Treadmill distance running is hard for me. Well, lets face it, all running is hard for me. 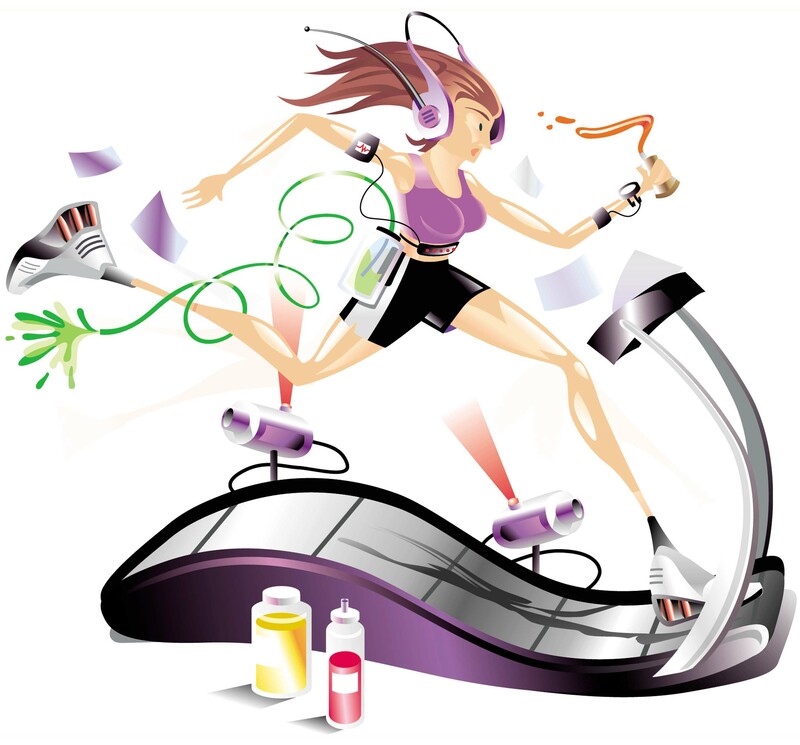 I read a lot of blogs and tweets and posts by other runners and treadmill running seems to come easy for them. They can get on the treadmill and hours will fly by. I, however, feel every mile. I want to check my distance every 30 seconds. I want to slow down at the next mile. It takes a lot of mental coaching to get my own self through a long distance treadmill run. With all that being said, I’m proud of myself for pushing out 17 miles and for doing it on the treadmill. *Yes, the calories burned are incorrect. My treadmill starts over after 1,000.